Note: This program is under review and will not accept applications for the September 2019 intake. The next intake of the program will be September 2020. 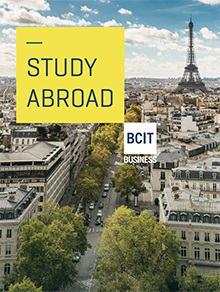 With the BCIT Graduate Certificate in Business Administration, you can start your MBA at BCIT and complete your master's degree at a reputable institution abroad. You will gain practical business skills at a master's level that can be applied across multiple industries. Graduates have the opportunity to continue their studies to complete a master's degree or to enter the workforce in a managerial role. The BCIT Graduate Certificate in Business Administration meets the requirements for advanced entry into a number of MBA and master’s degree programs. After completing the graduate certificate, you will have the opportunity to earn an MBA degree in international locations. The Graduate Certificate in Business Administration program prepares graduates to move into management roles in a variety of fields and industries. *Laptop with Windows operating system required for the program. Please note that a tablet computer will not be sufficient. All core courses and two electives will be provided in classrooms and labs at the BCIT Downtown Campus. Students may contact the Program Head for additional elective options and for approval. This course focuses on the issues of resource allocation within a business. It will examine how managers can utilize the tools of economics, forecasting, accounting/finance, and decision theory to aid in these critical decisions. The course will consider how differences and changes in the internal operating conditions and in the external political-economic environment can affect a manager's resource allocation decisions. Topics include incremental analysis, short- and long-run decision-making and financial analysis. Prerequisite: Entrance to the program. This course has an emphasis on what the user of financial and managerial accounting information needs to know about accounting. It stresses the more analytical uses of financial and managerial accounting information by managers and outside analysts rather than the procedural details that the practicing accountant is required to know. Case studies are integrated into the course to enable you to analyse a problem, weigh various factors involved in it, make some calculations and take a position on the problem. In short, the course will provide you with the skills to analyse and assess financial and managerial accounting information in the context of making managerial decisions. Prerequisite: Entrance to the program. This course provides you with an overview of the marketing concept and how it can be applied to any type of organization or service. It includes the controllable and uncontrollable elements of marketing, for strategic planning purposes. The course equips you with the competencies to interpret and develop marketing strategies in current and future business environments. Building upon the marketing knowledge that you have gained during the course, you will then have the opportunity to use your knowledge in the ensuing strategic management courses. Lectures consolidate and extend the knowledge of marketing management. Using the basic foundations of marketing, you can apply these principles in strategic planning to current business cases. You will apply marketing research techniques, evaluate trends in the competitive landscape, and select market segmentation strategies. The course covers controllable elements of price, distribution, product life cycle, and marketing communications. Lab assignments encourage you to apply the strategic planning process to solve company marketing problems in case-study formats. You will work individually on assignments and in teams for both case studies as well as the capstone project. Completion of all individual assignments and team work is required to pass this course. Prerequisite: Entrance to the program. Management and organizations are viewed in an environmental context rather than as isolated activities in a self-supporting system. An organization continually has to adapt to changes in the competitive dynamic environment or lead the change. Its effectiveness depends on the motivation and behaviour of the workforce talent, the organization’s greatest asset. To make effective business decisions, organizational leaders and managers need to maintain a clear sense of the organizational culture in its environmental web and the interrelationships and interdependencies with which it operates. Knowledge and understanding of the organizational framework, individual and group human behaviour, are essential prerequisites for effective and efficient organizational leadership. Prerequisite: Entrance to the program. Well-managed projects are increasingly the foundation upon which business processes and organization is built. The pressures of an increasingly global marketplace demand that companies differentiate themselves through innovation, reduced cycle-time, and the strategic use of capital and resources. The ability to successfully manage such projects, ensuring their on-time, on-budget completion, is critical. This course provides an in depth understanding of organizational management and its relationship to successful project life-cycle management, as well as the tools, techniques, and leadership skills that you, the future project manager, need to be successful in your role. At the end of the course, you will be able to critically evaluate current project management methodology, analyze data to make strategic decisions about a firm’s competitive viability in each of its areas in light of the competition, and effectively lead projects. Note: Elective alternatives are being developed for this program and will be posted once available. This course will equip you with the analytic, design, decision-making, and management skills needed to help an organization achieve competitive advantage through its operations and supply chain design, as these are critical to the success of an organization. As well, there will be emphasis on the use of Information and Communications Technology (ICT). For most firms, ICT is the largest investment category and results in either substantial competitive advantages or failures that can drive a firm out of business. The course addresses these ICT challenges to enable you to judge their value for a given purpose. Also, the course takes a practical approach to understanding how firms, from a cross-section of industries, build and manage information systems to best deliver economic value. Prerequisite: Entrance to the program. This course provides an understanding of the relationships between information technology, information systems, business strategy, and organizational improvement. It examines information technology as an enabler and facilitator of business strategy and as a control tool to track performance and improve managerial decision-making. In the light of the now established phenomenon of globalised businesses and markets, this course begins by examining the importance of cultural norms and identities based on learned attitudes, values and beliefs and their impact upon the conduct of business operations. An analysis of the depth and extent of adaptations of organizational strategy and behaviour which are necessary to achieve successful outcomes in this global environment is conducted. Globalisation now means that companies are operating in a global rather than a local environment, even when they are identified as being local firms. The reliance on employees from a cross-cultural mix requires a level of understanding and competence that evidences a shift from an ethnocentric to a geocentric approach. The aims of the course are to understand the impact of culture on management; to identify the areas in which cultural differences present a challenge in managing people across cultures; and finally to become more self-aware of cultural conditioning, individual biases and assumptions and to understand the implications these have on our interactions with people who are different from cultures. Students will develop the ability to communicate cross culturally and understand diverse perspectives - a necessity in order to achieve a competitive advantage in global the economy. Prerequisite: Entrance to the program. Two terms full-time, approximately 8 months. The maximum time to complete the program is five years. Students will be graded on a percentage scale. Courses must be passed with a 50% mark. BCIT is currently working towards academic and transfer credit agreements with other educational institutions so that students can complete an MBA. When these are complete, a description of the academic credits available at each institution will be posted. It is expected that the first of these will completed shortly. The BCIT Graduate Certificate in Business Administration program is structured to meet the requirements for direct entry and advanced placement in MBA and other master's degree programs. 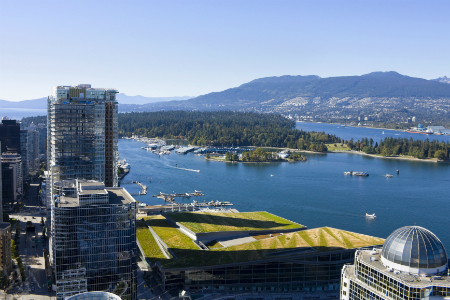 Applicants who completed post-secondary studies outside of Canada, United States or the United Kingdom will require a comprehensive evaluation of their credentials by the International Credential Evaluation Service (ICES). 2. If I do not meet all of the entrance requirements, can I still be accepted? Applicants that do not meet all entrance requirements will receive a study plan as part of their assessment indicating pre-entry courses if required. Applicants not meeting the entrance requirements may be considered for acceptance if they have a minimum recommended two years of progressive work experience. 3. What level do I use when I am applying for the GCBA? 4. Do you accept foreign degrees/credits? Applicants who completed post-secondary studies outside of Canada, United States or the United Kingdom will require a comprehensive evaluation of their credentials by the International Credential Evaluation Service (ICES). If these credentials are found to be equivalent to Canadian credentials, then we can accept them as appropriate for entrance to the program. Note that this process takes at least 7 weeks to complete so should be undertaken well in advance of the desired admission date. 5. How do I get my credential evaluated? 6. Can I get a conditional acceptance to the program? A conditional acceptance can be made on English and course work requirements. The applicant receives full acceptance into Business Management Studies full time Associate Certificate (BMS) as a bridge to completing the missing requirements for entering the GCBA program. 7. What is the English requirement? If you are from a non-English speaking country then you have provide the documents to prove equivalency. 8. What if I don’t meet the English requirements? Complete courses or assessments including ISEP, PELD, TOEFL, or IELTS. A conditional acceptance can be made on the basis of a lowered English and course work requirements by entering the Business Management Studies program. The applicant receives full acceptance into Business Management Studies full time Associate Certificate (BMS) as a bridging program to completing the missing requirements for entering the GCBA program. 9. I can’t figure out how to get a student number! Click here to create a BCIT Student Number. 10. I can’t figure out where to apply to the program! 11. What documents I need to show and how to apply? Please see the Program Entry Page. 12. What are the program application deadlines? There are no application deadlines. Applications are accepted until program is full. However, to be considered for the current term and/or intake, it’s suggested that applications be submitted 6 months prior to a start date. For out of country applicants, please note that there are long processing times so you are encouraged to apply 8-10 months prior to the start date. 13. Who/what kind of student is the program for? The BCIT Graduate Certificate in Business Administration is recommended for students who want to start their MBA at BCIT and continue to complete their master's degree at a reputable institution abroad. Graduates have the opportunity to continue their studies to complete a master's degree or to enter the workforce in a managerial role. 14. How long is the program? 15. What is the schedule? 8:30 am to 5:30 pm, Monday through Friday. 16. Where is the program offered? 17. How long is the MBA program after the completion of the Graduate Certificate and what is the tuition? The BCIT Graduate Certificate in Business Administration program is structured to meet the requirements for direct entry and advanced placement in MBA and other master’s degree programs at four partner Universities. The Master of Business Administration (MBA) Program length and tuitions vary between universities. Note that each may have somewhat different entrance requirements than the GCBA. Acceptance into the GCBA program in no way guarantees or bypasses the entrance requirements for the partner universities. Please see the partner university page for more details. 18. What is the tuition? This program is eight months long and total fee for the program is $10,067.46 (domestic students [PDF]). The first term starts in September until December. You will be required to pay $5033.73 at front. Please see the Fees, Payments and Refunds section of the website for more current information on full-time tuition fees. Tution for an International student [PDF] is $13,433.46. You will be required to pay $6716.73 for the first term at front. 19. What are books and supplies costs? 20. Is there financial assistance? Financial assistance may be available for this program for domestic students only. For more information, please contact Student Financial Aid and Awards. 21. Who are the instructors and what are their credentials? Instructors are drawn from our regular faculty pool typically with a Masters and extensive business experience. 22. What is the workload like? There will be many projects and extensive group work. Lots of initiative expected. Up to three of hours of homework per day should be anticipated with more intense periods during the term and at the end of the course. 23. Can I work and be a student at the same time? It is strongly suggested that students do not hold full time jobs (hours) while attending classes. Students are expected to attend 100% of their full time classes and spend a minimum of 3 hours day on homework leaving minimal time to work. Should you be receiving financial assistance please remember to review their guidelines with working and going to school. International students will require proper permits to do any work while in Canada. For more information contact the International Student Centre. 24. I haven't been to school for a long time and I am worried about how I'll do. Is help available? Yes, the BCIT Library has services for writing and peer tutoring. 25. Does BCIT provide housing? Yes, BCIT has on-campus housing is located on the Burnaby Campus, adjacent to the sports field and campus recreation facilities. We also offer, in partnership with the My Ideal Home Network, comprehensive listings of off-campus accommodation including support for short-stay, apprenticeship and international students. For help as an international student check out the housing services. Complete the first year of a MBA!